An affordable non medical home care business opportunity! No territory restriction, No ongoing fees! Welcome to StartupHomeCare, North America's premier non-franchise business opportunity in the non-medical home care industry! Start and grow a profitable home care business with $35,000-$40,000 total investment, which includes lifetime membership benefits and unlimited lifetime executive managment support. Join a membership organization, not a franchise! StartupHomeCare business solutions offers a 9 month average return on investment compared to purchasing a franchise. We help you set up your own private-duty home care agency and give you all the training, materials, and unlimited lifetime support needed to successfully start, grow and manage your agency into a large organization. Why pay franchise royalties and be restricted to a small territory? SHC gives you the benefits of a franchise but without the large investment and restrictions of a non-medical Senior Care Franchise. SHC was founded by the owners of a successful senior home care agency - so you will learn from those who have a successful and proven track record in the industry. SHC's agency startup and support solution provides all the benefits of a franchise - a proven methodology, live training, materials, unlimited lifetime support . Our comprehensive and expert training, combined with our awesome array of operating systems, training manuals and policies and procedures, marketing materials (personalized website, brochures, banner ads, business cards, presentation folders, letterhead, etc.) will get your business up and running and headed down the road to success. All of this without franchise royalty fees or territory restrictions. SHC gives individuals the skills, tools, and knowledge necessary to launch and quickly grow their own successful non medical home care agency. Our innovative marketing programs will get you in doors that are closed to others. Unlike some of our competitors, our six-day training program is taught by the founders of SHC – so you will learn directly from those who have been in your shoes and already achieved great success with their proven approach and business methodology. 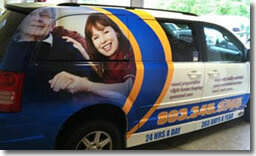 Our founders consist of individuals who are embedded in the senior home care industry. Our founders started their own highly successful home care agency in the competitive Southern California senior care market. During our six-day intensive "Boot Camp" training program, our founders will share the secrets of their success – giving you all the knowledge and skills necessary to successfully grow your very own senior home care agency in the location of your choice. It's your business: You would be a completely independent business owner. Your business would have its own name and you would be the sole decider on how to run your business. We help you create your business from the ground up and then provide support for you when you want it – for as long as you need it. Unlimited lifetime ongoing support from our highly experienced team and founders. You also get a lifetime membership in Aventis Healthcare International – our nationwide organization of independently owned home care agency's with one goal of providing quality home care. You get to interact with each of our members whenever you want via our group's online blog and/or phone to share ideas and experiences. StartupHomeCare is a subsidiary of Aventis Healthcare International, Inc.
No territory: We require NO long-term contracts or agreements that restrict your ability to grow your business or move into new territories. When you are ready to grow your service area and move into a new city you can do so at will and without being required to purchase another territory. Access to our: National Long Term Care & Workers Compensation Insurance Contracts, National Veterans Loan Program, and National Corporate Contracts- that allow our members to market side by side Fortune 500 company's sales representatives in their local communities and in turn get referrals from them. This gives balance to the private pay side of each agencies business by having access to clients that have their care paid for via the above organizations. The most comprehensive training and start-up package in the industry: No one will better prepare you for this exciting and growing industry. We provide live training for six (6) days covering all aspects of marketing and operating a home care agency, supplemented with our comprehensive Training and Operations Manual. Access to our national long term care insurance, workers compensation insurance, and corporate contracts that will get you clients. Live six-day comprehensive Boot Camp training program taught by SHC founders in one of our two coastal offices (CA or GA) or online via live web conferencing technology (no software required for participants). Financing available for those with a credit score of 710 or higher. Veterans Benefit Consultant Training and Exclusive Loan Program – to get you clients. Online training academy for your caregivers. Essential marketing materials with all needed content – brochures, business cards, 8 foot banner, presentation folders, letterhead, newspaper ad. Full lifetime support from our highly experienced team and founders. Group policy professional liability, bonding, and non-owned auto insurance – up to 60% savings. Assistance with your corporation legal set-up – LLC, S-Corp.
100% Satisfaction Guarantee: That's right. We are so confident that our business opportunity will exceed your expectations that we will offer you a refund (minus the cost of any marketing materials created for you) if you purchase a franchise within 60 days of taking our training program - so you have nothing to lose! "Thanks so much for all of the information and training we received during your Boot Camp course. I can't imagine starting an agency without this valuable information. You guys did a great job in bringing things down to our level so we could learn efficiently. We just started our marketing campaign and are having a positive response. Talk to you on next week's call." - Lindsey and John, San Francisco, CA. "We just contracted with our first client today! Thanks again for all your help through this process. We couldn't have done this without your program and assistance. The policies, procedures and training DVDs are great and we have already used them to train one of our employees on how to use a mechanical lift device. We are excited to see this business grow!" -Richard and Laura, Santa Monica, CA. We are looking for self motivated, hard working, positive, people oriented individuals with a passion for helping others are the type of people that usually do very well in the senior care industry and are the type of individuals we are seeking. In addition, individuals need to have the financial means to get into this industry – which means having access to $17,500 immediately (or have a credit score of 710 or higher to access our financing options to pay the whole $40,000). Lastly, we prefer individuals who have owned their own business before, worked in the healthcare industry, or have had management experience in any industry. 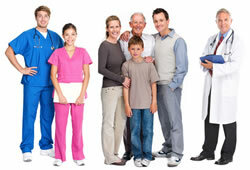 Click on Request Information for FREE info on how to open a StartupHomeCare franchise today! Please Note: This StartupHomeCare franchise opportunity and other franchise business opportunities, businesses and franchises for sale on this web site are not to be considered as an "offering", "franchise offering", suggestion or recommendation by Franchise Leader™. This advertisement depends entirely on the truthfulness of the information provided by our advertisers which includes, but is not limited to, franchisers, franchise brokers, franchise consultants and business brokers. Franchise Leader™ recommends that you consult a lawyer, financial consultant, accountant or professional advisor before buying a franchise or business opportunity or any type of business. By using this form or any part of our website, you have agreed to all terms and conditions of Franchise Leader™. Please review our Terms & Conditions for more information.